Although it is never easy to think about what may happen after you pass away, it is an important circumstance to take into consideration. Many people have an idea of who they want their assets to be handed down to once they pass away. Others may not be sure who they want everything to go to, but they are sure of who they do not want anything to go to. If your assets end up in the wrong hands after your passing, they may not continue the legacy you had hoped for. 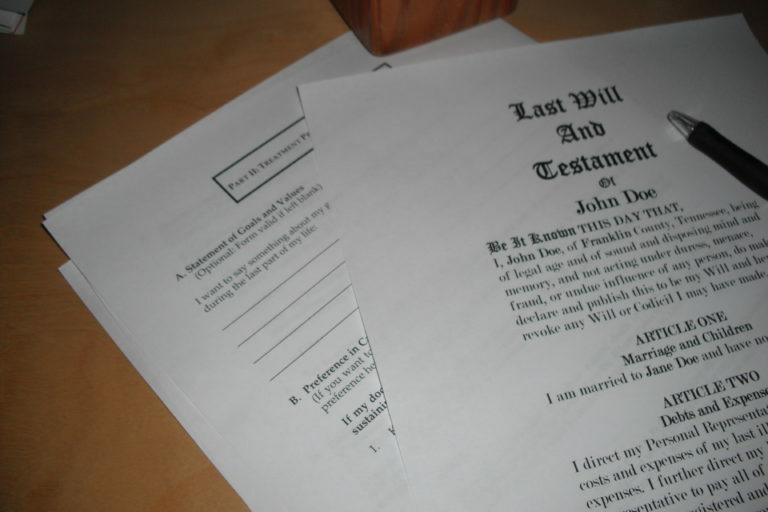 In order to prevent any unfavorable results for the assets you have worked so hard for over the course of your life, you should prepare a will. Wills can allow you to distribute your assets to the people you think will best take care of them and respect your wishes. A will assists the person who will handle your after-life matters in distributing all of your debts, assets, and last wishes that you had for your property. If there is no will prepared and no spouse or children to speak of, the state will be responsible for distributing your will and take ownership of your property. Another important factor in preparing for your future is that you do not wait until old age to create a will. You should create one when you get married and keep it updated in the event that you have children, get divorced, or obtain any valuable assets. These can include a home, an inheritance, a pension, or any other high-value or very sentimental object. If you have questions about where to get started when creating a will, speak with one of our experienced estate planning attorneys today. The experienced attorneys at Mattleman, Weinroth & Miller, P.C., are well versed in estate legalities within the state of New Jersey. Contact our firm for your free initial consultation and have any estate questions answered.